Hook.js — Pull to refresh. For the web. Posted byBramus! 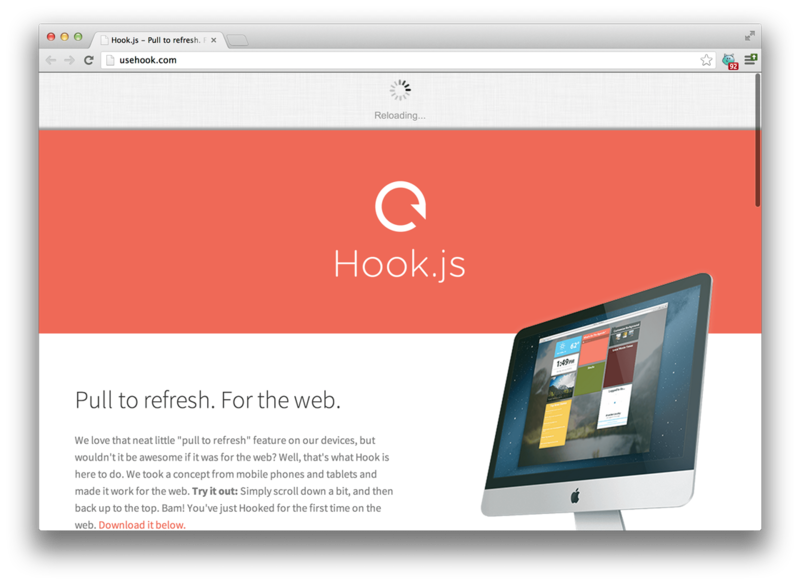 March 8, 2013 1 Comment on Hook.js — Pull to refresh. For the web. We love that neat little “pull to refresh” feature on our devices, but wouldn’t it be awesome if it was for the web? Well, that’s what Hook is here to do.